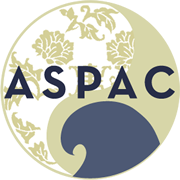 ASPAC recognizes exceptional student scholarship in Asian Studies through two awards, the Mori-ASPAC Prize (successor to the John and Mae Esterline Prize) and the newly&dash;established Jeffrey Barlow Prize. Prize winners receive a cash award and may be submitted to the AAS for possible presentation at the annual AAS conference on a panel of student paper prize winners. The 2018 Jeffrey Barlow Prize was awarded to Eveline Bingaman, National Tsing Hua University, for the paper, “Things that Bind US Can Also Divide US Ethnicity in South West China.” In addition to a cash award, Bingaman’s paper has been submitted and accepted for presentation at AAS 2019 on a panel of the best student papers from regional conferences.